“Has everyone lost their ability to see what is happening in the USA? Think America! Before Obama, there was virtually no visible presence of Islam in America. All of a sudden, Islam is taught in schools. All of a sudden, we must allow prayer rugs everywhere and allow for Islamic prayer in schools and businesses. All of a sudden, we must stop serving pork in public places and institutions. All of a sudden, we must allow burkas to be worn everywhere even though you have no idea who is covered up under them. All of a sudden, Muslim training compounds are popping up throughout the USA. All of a sudden, Muslims are suing employers for being expected to do their jobs. All of a sudden, all of our aircraft carriers are recalled for maintenance by Obama rendering the Atlantic unsupported. All of a sudden, our troops are withdrawn from the middle east. All of a sudden, there is no money for American poor, disabled veterans, jobless Americans, hungry Americans, or displaced Americans, but there is endless money for Obama’s refugee programs. All of a sudden, Obama fills the Federal Government with Muslims in key positions. All of a sudden, there is an ammunition shortage in the USA. All of a sudden, Americans are threatened by the Federal government for complaining about Muslims. All of a sudden, the most important thing for Obama to do is disarm American Citizens. Now, why is it so important for Obama to disarm America? Why? Because a disarmed country is ripe for takeover by the Muslim Army that Obama has imported into the United States. Nikita Krueschev, the Russian Dictator who visited the USA in the 1950s said the USA could never be occupied by any army because of it’s citizen Army. Obama knows this fact and is doing everything within his power to disarm our Citizen Army. If Obama can’t do it legally, he will abuse his power and take every gun from Americans because he knows he must do that to turn the USA over to Islam. (NaturalNews) In case you haven’t noticed, there’s an incremental push right now by the controlling elite to force vaccinations on all Americans, both young and old. And this agenda is gaining considerable traction in California, where legislators are now moving forward with plans to force childhood vaccines on all adults who work in daycare centers, both private and public. This bill, commencing September 1, 2016, would prohibit a day care center or a family day care home from employing any person who has not been immunized against influenza, pertussis, and measles. SB 792, would eliminate an adult’s right to exempt themselves from one, some, or all vaccines, a risk-laden medical procedure. This bill would make California the first state to require mandated vaccinations for all childcare workers, including all private and public school early childhood education programs (Headstart, Private preK and preschools), family daycares, and daycare centers. An affront to both medical and religious liberty, SB 792 appears to be the wave of the future in New America, where the perceived health of the “herd” is now more important than the health of the individual. Never before in the history of the United States have legislators pushed this hard to literally force vaccine injections on the public under duress. But why do they feel the need to do this if vaccines really work and are truly safe as claimed? The answer is that vaccines aren’t safe and effective, and more people than ever are acknowledging this truth and opting out of the “requirements” of the system through vaccine exemptions, hence the rush to eliminate these exemptions as quickly as possible, starting with California. “This bill eliminates medical autonomy, crushes religious freedom, undermines personal freedom, and burdens quality providers with a non-optional series of medical interventions in the form of mandated vaccines that are not even 100% effective,” adds Vaccine Impact. You can contact the above individuals here and let them know how you feel about their betrayal of medical freedom in California. 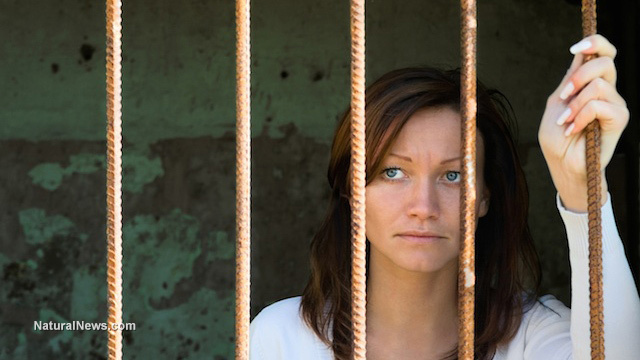 “Laws like these are forging a burden of responsibility that is collectively shared by everyone,” writes Joshua Krause for GlobalResearch.ca. Woods Hole Oceanographic Institution, Mar 7, 2016: Fukushima Site Still Leaking After Five Years, Research Shows… Buesseler [sampled off Fukushima] in October 2015… his analysis of cesium and strontium indicate releases from the plant are not yet “under control,” a statement that has been used by the Japanese government to describe the situation… [C]esium levels have remained relatively constant… “we are not seeing the steady decrease we would expect to see off Fukushima if all sources had stopped; rather, we are finding values are still elevated, which confirms that there is continued release from the plant.”… The highest level of cesium Buesseler’s team found in a sample taken off Japan in October 2015 measured 200 Becquerels per cubic meter… Strontium, too, is not falling as expected… [Scientists] have found that strontium is not decreasing as fast as cesium. Whereas there was approximately 40 times more cesium than strontium in the waters off Japan in 2011, by 2013, there was approximately 10 times more cesium than strontium The concern lies in the thousands of tons of strontium still stored in tanks at the nuclear power plant and accumulated in buildings and soils, some of it still leaking into the ocean. 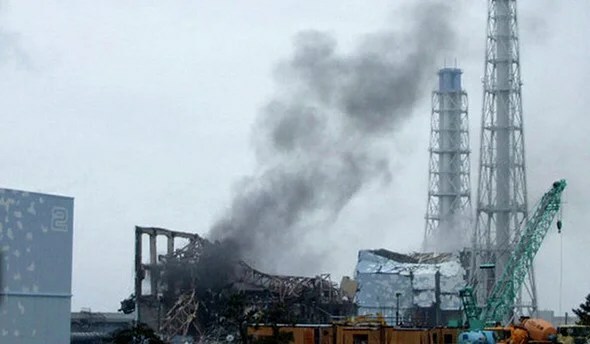 Five years after the Fukushima nuclear accident, there is still no U.S. federal agency responsible for studies of radioactive contaminants in the ocean. But scientific data about the levels of radioactivity in the ocean off our shores are available publicly thanks to ongoing efforts of independent researchers, including Ken Buesseler, a radiochemist with Woods Hole Oceanographic Institution (WHOI), who has led the effort to create and maintain an ocean monitoring network along the U.S. West Coast. Since 2011, Buesseler has received contributions from citizens, small businesses, foundations and large companies to enable the sampling of nearly 1000 seawater samples for Fukushima radionuclides. Buesseler has been involved in seven cruises off Japan, sampling off Fukushima at least once every year, most recently in October 2015, and has published 19 peer-reviewed papers based on his analysis of seawater and sediments from the Pacific. Buesseler’s work reveals that levels of radioactive forms of cesium in the ocean off Japan are thousands of times lower than during the peak releases in 2011, however, his analysis of cesium and strontium indicate releases from the plant are not yet “under control,” a statement that has been used by the Japanese government to describe the situation when levels are below regulatory limits. “To date, we have focused our efforts on testing for the two isotopes of cesium (137 and 134) and strontium,” says Buesseler. “The cesium isotopes were the most abundant after the accident and provide the first indication of whether contamination from Fukushima is present in a seawater sample.” Because cesium-134 has a half-life of just two years, researchers know, when detected, that it comes from Fukushima. Cesium was 40 times more abundant in the water after the accident than strontium – a ratio that the scientists discover is changing. The changing concentrations of both these elements in the waters off Japan tell a story of continued small leaks and raise concerns about the materials still stored at the reactor site. Cesium levels in the water off Japan spiked after the accident, then fell dramatically in the following year. Since then, however, rather than a steady decline, the cesium levels have remained relatively constant. The highest level of cesium Buesseler’s team found in a sample taken off Japan in October 2015 measured 200 Becquerels per cubic meter (about 264 gallons) of seawater. (A Becquerel equals one decay event per second.) The samples were collected following a typhoon in September that delivered unusually heavy rains, which the researchers suspect may have caused elevated cesium levels in the ocean. These levels are still higher than prior to the accident but much lower than at the peak of the releases in 2011 when there were 50 million Bq/m3 in the ocean immediately off the dock at Fukushima. While not declining as quickly as researchers had expected, the levels detected near Japan are still more than 40 times lower than US government safety limits for drinking water, and well below limits of concern for direct exposure while swimming, boating, or other recreational activities. At these lower levels, the concern remains for seafood safety and internal consumption of radioactive contaminants in fish. The scientists have learned that cesium is just part of the story: Strontium, too, is not falling as expected. Strontium-90 has nearly the same half-life of cesium-137, and the researchers expected its levels would drop in step with cesium. Yet Buesseler and colleagues led by Universitat Autònoma of Barcelona, Spain have found that strontium is not decreasing as fast as cesium. Whereas there was approximately 40 times more cesium than strontium in the waters off Japan in 2011, by 2013, there was approximately 10 times more cesium than strontium. The concern lies in the thousands of tons of strontium still stored in tanks at the nuclear power plant and accumulated in buildings and soils, some of it still leaking into the ocean. Because strontium-90 mimics calcium in humans and animals, it is taken up by and concentrated in bones, where it remains for long periods of time, making it a greater health concern than cesium. Cesium, on the other hand, flushes out of the body much faster. In addition to studying the waters off Japan, Buesseler and his colleagues have been actively monitoring the Pacific waters off the North American West Coast, primarily for cesium, the most abundant element after the accident. 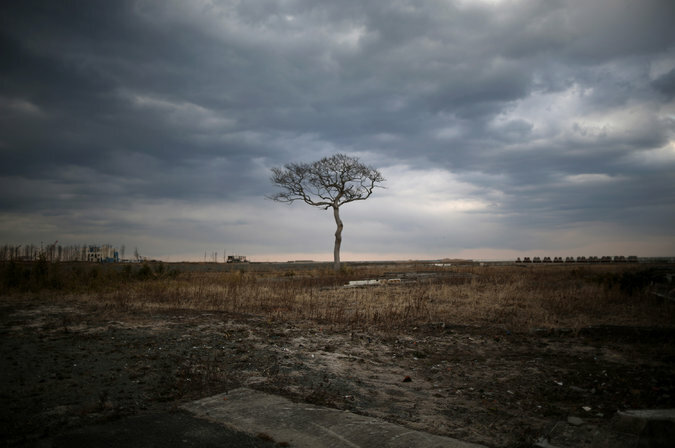 So far, they have detected only minute quantities of Fukushima cesium. Fukushima-derived cesium first arrived along the west coast of North America in February 2015, measuring 6 Bq/m3 in Ucluelet, British Columbia. The highest numbers the researchers have seen in the eastern Pacific are almost 10 Bq/m3, found some 1,500 miles north of Hawaii. “If you were to swim in waters at this level the health effects, or dose, would be 1000 times less than a single dental x-ray. This is not zero, but a very small risk that would not stop me from swimming or eating seafood from our side of the Pacific,” said Buesseler. Because cesium levels have been so small and the cost of analyzing samples for strontium is so great, the researchers have not been analyzing samples off North America for strontium, until recently. The researchers receive enough questions about strontium that they re-analyzed some of the West Coast samples that contained Fukushima cesium-134 looking for strontium, and have not detected any above the background levels that were there before Fukushima. 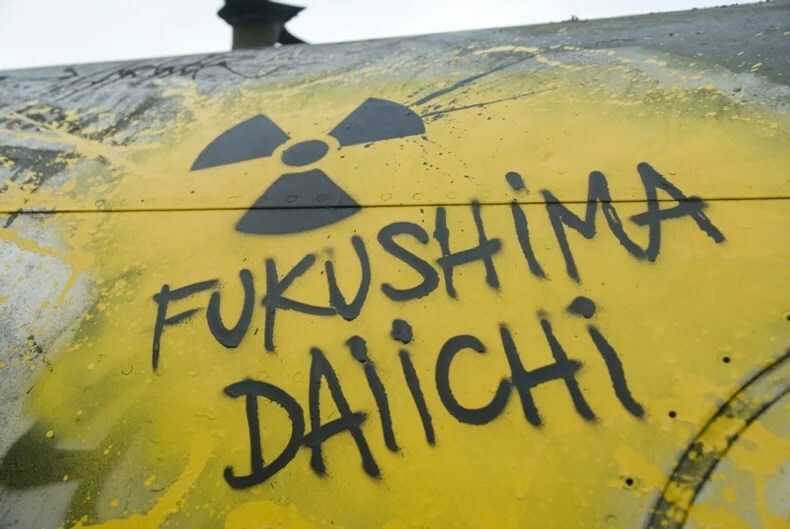 “So little strontium was released relative to cesium from Fukushima in 2011, that even though Fukushima cesium is detectable, the strontium-90 signal is not detectable in these samples, at least in the eastern Pacific,” says Buesseler. The researchers continue to collect and analyze samples both from citizen scientists and, when possible, from ships and research cruises on the eastern side of the Pacific. The data are made publically available through the Our Radioactive Ocean, the crowd-funding website Buesseler created for this purpose. The site’s map interface allows the public to see where samples were collected and the cesium values measured in each sample. Levels in the ocean are expected to peak along the West Coast of the U.S. some time in 2015 or 2016, so continued monitoring is needed. But I myself think the government’s numbers are an underestimate. Various experts and institutes from around the world have offered several of their own estimates… some two or three times higher than the government’s numbers. According to these other estimates I think that the release of Cs-137 into the atmosphere could be around 500 times the Hiroshima bombing. Not a single nuclear expert or policy maker ever seriously considered the possibility of an accident like this… I had been commenting on the possibility, referring to some results of simulations. But still I would have thought the kind of disaster that happened at Fukushima was some kind of impossible nightmare―yet it actually happened. It was like the worse nightmare becoming a reality… all those pronuclear people surely never gave it a moment’s thought. And so when it actually happened, no one had thought about, let alone built a system to deal with it. Asia-Pacific Journal, Mar 2016: As we learn in this wide-ranging and important interview [with Hiroaki Koide], the accident often referred to as 3/11 was enormous and in many ways unprecedented. The full scope of the disaster is still unknown, but is clearly on the scale of Chernobyl, placing the amount of radioactive material released… up to 1,000 times the Hiroshima bombing of 1945. More than 200 people treated at a New Jersey medical center may have been exposed to HIV or hepatitis B or C because of a former employee accused of tampering with drugs, the hospital said on Thursday. Shore Medical Center in Somers Point, located on the southern New Jersey coast outside of Atlantic City, sent letters last week to 213 patients who were treated with certain intravenous medications, including morphine, between June 1, 2013 and Sept. 17, 2014. “We have been working with public health authorities to determine if patients could have been exposed to blood-borne pathogens at Shore through contact with this employee’s blood,” said hospital spokesman Brian Cahill in a statement. Free testing and support are being offered to the patients, the hospital said. New Jersey Health Department spokeswoman Dawn Thomas described the risk of exposure as low. Frederick McLeish, 53, a former pharmacist at the hospital, is accused of removing the drugs from vials intended to be used in the preparation of intravenous medications for patients, and replacing them with a saline solution. His attorney, John Zarych, declined to comment on the case. The hospital detected a problem and fired McLeish, of Egg Harbor Township, after an internal investigation. On Jan. 21 he was indicted by an Atlantic County grand jury on charges of drug tampering, theft and drug possession. He was released on bail the same day, according to a court official. On Monday, McLeish was arraigned in Atlantic County Superior Court. A status hearing, at which he is expected to enter a plea, has been scheduled for March 7. McLeish had been authorized to prescribe, dispense or administer medication, according to the Atlantic County prosecutor’s office. The hospital, state health department and Centers for Disease Control and Prevention are still investigating. They just cannot get it through their heads, can they? Humans cannot control the nuclear plants! When we all become extinct, it won’t matter anymore. What are the children of our children going to look like? Bumbling bags of unrecognizable jellY? Journalist Roger Witherspoon, Feb 12, 2016: Initial reports from Entergy to the NRC and to Gov. Cuomo’s office were that the tritium readings were as high as 8 million picocuries per liter… The fact that several river towns do use the Hudson as a primary water source is discounted because the radioactive flow is diluted by the rest of the water in the River. But that ignores the fact that radioactive particles do not dissolve or lose their potency even if they are harder to encounter… Entergy has a… permit which entitles Indian Point to regularly pour radioactive contaminants into the groundwater, the Hudson River, and the air. 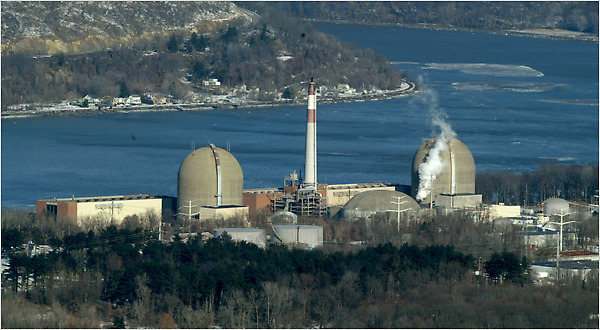 In 2013 Indian Point released 1,300 Curies of radioactive material into the Hudson and the Buchanan air. That is trillions of times more radioactive material, released legally, than is being released accidentally now.